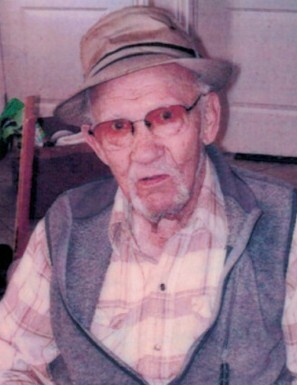 John Mike Woytko, 97, passed away peacefully in his sleep on Tuesday, February 5, 2019 at his home in Preston, Idaho. He was born on September 10, 1921 in Pigeon Gap, Ohio, just outside Cambridge, to John and Susana Belensky Woytko. He was the third of 13 children. He spent his childhood in Ohio and at age 17 he came to Franklin County where he joined the CCC's and was a part of building Albert Moser and Willow Flats Campgrounds. A few years later he married Leil Beckstead and together they had seven children: Bill, Susan, Mike, David, Bobby, Ricky, and Sandra. He served in the United States Navy during World War II and was stationed on the USS Suison AVP 53. He enjoyed many things in life including fishing, golfing, playing baseball and a good game of cards. He was a very hard worker and was always busy doing something. We love him and will miss him dearly. He is survived by his children Susan (Wyn) Doney, David (Lettie) Woytko, Rick (Vanita) Woytko, and Sandra (Lee) Christensen, and many grandchildren, great grandchildren and great-great grandchildren. He is also survived by four siblings: Steve, Joe, Mike, and Betty and a daughter-in-law Jan Woytko. He was preceded in death by his parents, three children Bill, Mike, and Bobby and eight siblings. Funeral services will be held on Saturday, Feb 9, 2019 at 11:00 am at Webb Funeral Home in Preston, Idaho. A viewing will be held on Friday from 6-8 p.m. at Webb Funeral Home and Saturday from 9:30-10:30 a.m. also at the funeral home. Military rites and interment will be in the Preston Cemetery. Memories and condolences may be shared with the family at webbmortuary.com.